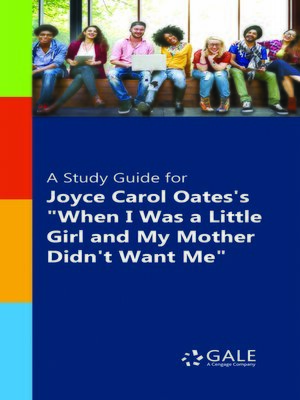 A Study Guide for Joyce Carol Oates's "When I Was a Little Girl and My Mother Didn't Want Me "
A Study Guide for Joyce Carol Oates's When I Was a Little Girl and My Mother Didn't Want Me, excerpted from Gale's acclaimed Drama for Students. This concise study guide includes plot summary; character analysis; author biography; study questions; historical context; suggestions for further reading; and much more. For any literature project, trust Drama for Students for all of your research needs.